Working with families can be exciting and extremely productive, but family therapy presents many challenges. Families are complex, and many times family members are experiencing significant stress and conflict related to the presenting problem. Also, family systems have a natural inclination toward homeostasis and can present great resistance to change. You will need to be equipped and practiced with methods to handle this resistance in order to help the family make positive changes. 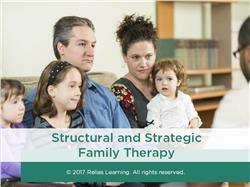 In this course, you will learn essential treatment techniques of brief family therapy that support families to decrease negative or hostile interactions, increase flexibility in roles and functions, and communicate in a way that problems can be addressed effectively. You will also learn critical techniques to engage challenging families and set the stage for change. Lastly, you will learn how to apply these techniques in a way that supports families to make real progress within a brief model framework. You will have a chance to practice and reinforce concepts you learn through a series of interactive exercises and mini-quizzes. The material in this course is appropriate for both beginning counselors and seasoned professionals alike. 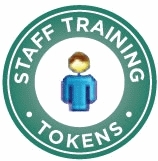 Categories Counselor II, CARS II, MISA II, PCGC II, CCJP I or II, CRSS II, CPRS II, MAATP II, NCRS II, CFPP I or II, CVSS II This activity is approved for 1.50 contact hours. Education hours MCBAP-R This activity is approved for 1.50 contact hours. Provider # RCX100502 This activity is approved for 1.50 contact hours. Explain how the techniques of joining and tracking are applied to set the stage for change. Demonstrate how to use reframing in your work with families. Describe how to avoid triangulation in your work with families. Detail how to use specific family therapy techniques including shifting alliances, reconnection, and reversal. List three strategies you can use to decrease resistance and engage clients in therapy. The target audience for this course is: entry and intermediate level Social Workers; entry level Professional Counselors; entry level Psychologists; in the following settings: Health and Human Services.